Face masks are fun and functional. They are great for your skin and there are so many different kinds for different purposes – acne, dark marks, rosacea, hydration, and the list goes on. Furthermore, they are fun to use and have tons of exciting, cool, and beneficial ingredients. You can find face masks with fruit, avocado cocoa powder, gold, vitamin C, and so much more. Like always, you must be conscious about the ingredients that are actually in the face masks you pick up from the store. Like certain face washes, cleansers and serums, they are filled with horrible and toxic chemical and synthetic ingredients. 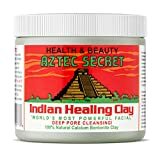 100% Calcium Bentonite Clay for external use only. Does not contain: Additives, fragrances or animal productsVersion 2! Supplied with a non-tear Calcium Bentonite Clay security sticker on the lid. We wrote a post about face cleansers, and you can check out all of the essential information there in a little bit more depth. You will learn about the dangers of many toxic ingredients that are also in face masks, how to avoid those ingredients, and how to choose a healthy and safe alternative. You will also find our organic and natural face serums. Fragrance is a highly toxic and dangerous ingredient that should be avoided in all of your personal care or makeup products. Fragrance is where many companies like to hide hundreds or thousands of potential chemicals and artificial ingredients. Companies are not required to disclose what is included in the term “fragrance,” meaning they can hide any number of chemicals they don’t want their customers to see. Additionally, most fragrances are stabilized with phthalates, which are chemicals that are linked to reproductive issues and birth defects when tested on animals and they can also lead to many forms of cancer. Anything that has fragrance listed as one of the ingredients should be avoided and you should look for an option that either doesn’t list fragrance as an ingredient or that the fragrance is coming from essential oil blends or pure natural extracts. Parabens are ones of the most common preservatives found in personal care items, makeup, and sin care products, including facemasks as well. Parabens are so dangerous because they can mimic estrogen, according to studies conducted by the FDA. The ability for parabens to mimic the female hormone can cause an increased risk in both breast and skin cancer, which are often times very deadly. Additionally, parabens will also affect your endocrine system, leading to reproductive and developmental disorders. This is particularly detrimental for women of reproductive age looking to have children in the future. It is also important to remember there are a handful of different parabens and they can appear under different names on an ingredient list for a product. You can find many of the different kinds of parabens in different products so always keep a lookout in the ingredient list. Sodium Lauryl Sulfate is another common ingredient that is likely to make an appearance on your facemask’s ingredient list. You have to be particularly careful with sodium laurel sulfate because it is very often included in natural and organic products. Just because something is “cleaner” does not mean it still doesn’t contain harmful ingredients. SLS is such a concern because it can cause major skin irritations, canker sores, damage to the eyes, and can cause bad acne around the mouth and the chin. If you are always breaking out is a red and/or bumpy, and painful rash around the mouth, chin, and eyes you may have an allergy to SLS. The rash is often very hard to get rid of and many dermatologists don’t identify SLS as being the cause of this rash. The EWG Skin Deep website classifies SLS as “expected to be toxic or harmful” in organ system toxicity. If you are not sure what this ingredient is, it is a chemical surfactant that makes soapy products, like face wash, body wash, dish soap, etc. foam. However, it can also be included in products that don’t foam or suds, so you must always be wary of this toxic ingredient. Just if things could not get more complicated, they do. SLS is often hidden in the ingredient list as sodium coco sulfate. Sodium coco sulfate is basically the same makeup as SLS, but it is derived from coconut instead of being completely created in a lab. But in the end, both forms of this surfactant do the same thing and are equally as harmful to the skin and body. SLS and sodium coco sulfate strips your face of its natural oils, which can make your face produce even more oil to combat the issue. This will cause your face to breakout even worse than it may have been before. Now that we know a little more about the dangers that lurk in so many facemasks on the market, let’s take a look at the healthiest, purest, and cleanest facemasks currently for sale online. This EWG Skin Deep Verified facemask will have you feeling like you stepped into a fancy spa! 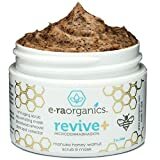 It purifies with high levels of antioxidants, antibacterial agents, anti-inflammatories, and vitamins A and E. This honey mask will draw out all of the impurities in your skin and improve uneven skin tone for a healthy and glowing look, which is something that we are all looking for more of. This amazing mask also won the Beauty Shortlist Awards 2017 – so you know this is going to be great for your beautiful skin. Buying products that have won awards, have great reviews and are proven to work by a variety of people generally always make solid purchases. This facemask has nutrient rich pineapple and papaya juices combined with 4% Glycolic Acid. 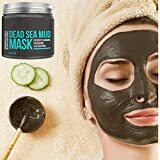 It will exfoliate any dead and dull skin on your face, will tighten your pores, improve and rejuvenate skin texture, and give your skin a spectacular glow – in less than 2 minutes! Extra benefits include lightening dark spots and evening skin tone. This is particularly great if you suffer from acne or have suffered from acne and now have dark hyperpigmentation all over your face. White & Elm’s mask is EWG Verified and only crafted with natural and organic ingredients, which make this is a really wonderful option to give a chance to. This facemask is super rich and thick – perfect for hydrating and soothing your face! AveSeena mask is a pure honey-based mask treatment that is great for removing impurities and debris from the skin and pores. Its creamy and smooth texture is super nourishing on the skin and will leave your skin absolutely radiant. A Creamy facemask can be challenging to find, so if you have sensitive skin that needs extra gentle attention, a cream mask is always a very good option. Its formula combines honey, botanical oils, floral extracts, and ultrafine kaolin clay. This mask is also EWG Verified, cruelty-free, dermatologist tested and is completely free of parabens, SLA, TEA, DEA, formaldehyde, propylene glycol, artificial dyes, mineral oil, PABA, phthalates, paraffin, and silicones. This is a box of 6 organic sheet masks. Sheets masks portion for the perfect amount of product to put on your face and they are easy to use and clean up. These masks feature USDA certified ingredients, no chemical preservatives, parabens, formaldehyde, alcohols, phthalates, sulfates, fragrance, or animal testing. Greek yogurt reduces the appearance of dark spots and sun damage, is full of antioxidants that keep your skin youthful and firm, and the pomegranate and orange peel help boost your skin’s natural collagen levels. Another EWG Verified face mask, this mask is made with 95% organic ingredients and 100% natural ingredients. There are never any parabens, silicones, mineral oils, synthetic dyes or fragrances. This mask lifts, prevents wrinkles and is a sheet mask for easy use and cleanup. This makes it super unique because it reacts with your skin temperature so it can provide the benefits of its ingredients directly into your skin. We hope you love these face masks as much as we do! Each and everyone is filled with unique, healthy, and clean ingredients that your face is going to love. Skin care is always better when you can be fully confident the ingredients you are putting on your face are safe. With these masks, you won’t have to question whether or not you are choosing a safe product. Ingredients to Avoid and Safe Alternatives section expanded. White & Elim Exfoliating Enzyme Mask added to list in position 2. Face masks are fun and great for your skin, but those filled with chemicals and toxic ingredients are not. Check out these natural or organic face masks!